IL PIZZAIOLO WARRENDALE — Burchick Construction Company Inc.
Il Pizzaiolo, a local restaurant with its original location in Mt. Lebanon, decided to expand to the North Hills of Pittsburgh with a second location in Warrendale. The scope of work included various elements that correlated with a Tuscan theme. 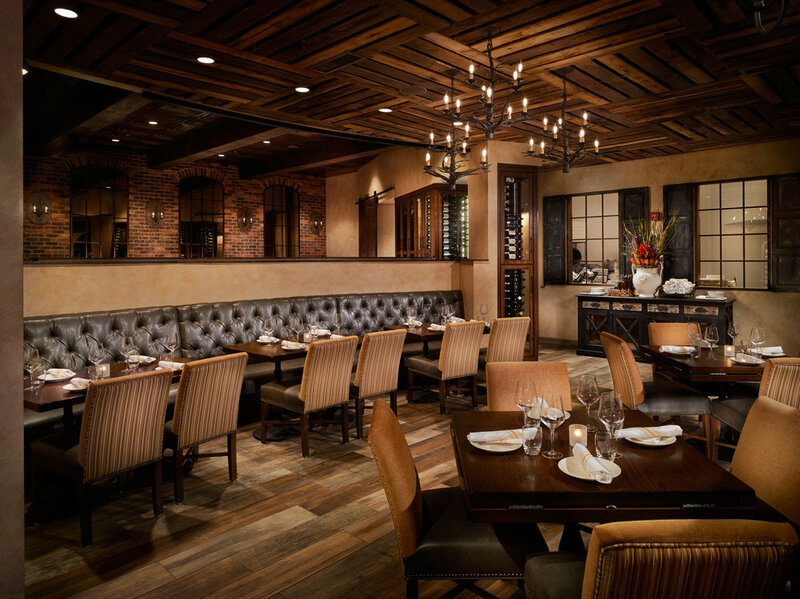 Old weathered brick was carried throughout the restaurant on both the walls and arches. 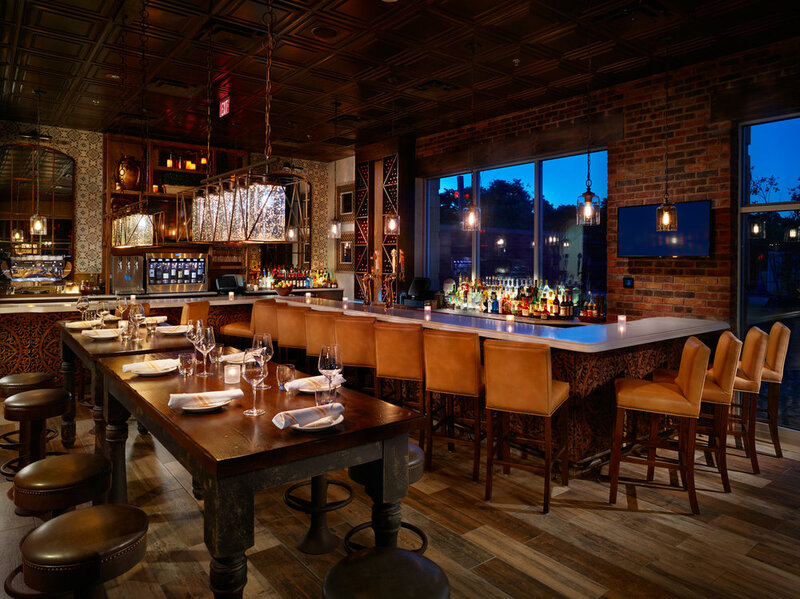 The bar and banquet areas featured faux bronze tin ceilings with distressed wood beams, hand-made by Burchick carpenters. The wood pallet ceilings were assembled from reclaimed pallet wood and suspended from the roof joists while utilizing a custom wood grid system. 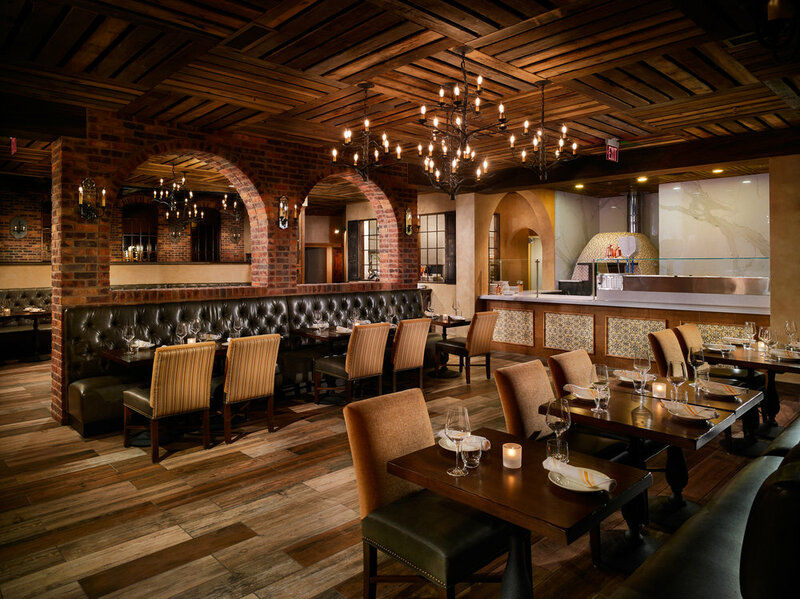 Lastly, a special climate-controlled dough room and 7-1/2 ton wood burning pizza oven, imported from Italy, were needed to highlight the restaurant’s pizza making process. Significant electrical, HVAC, and plumbing upgrades were also necessary. While the space had been a restaurant previously, the kitchen was removed and a new fully functioning kitchen was installed. New under slab sanitary, grease, water, and beverage distribution lines were required for the new equipment, as well as all new electric to the equipment. New make-up air units, exhaust fans, and rooftop units were required to allow the kitchen to function properly. Work started in February 2016 and the restaurant opened for business in June 2016.